1. Enact state employee health insurance reform – $95 million annually. 2. Reform Medicaid to make it work better for patients, improve health outcomes, and save taxpayer dollars – $100 million annually. 3. 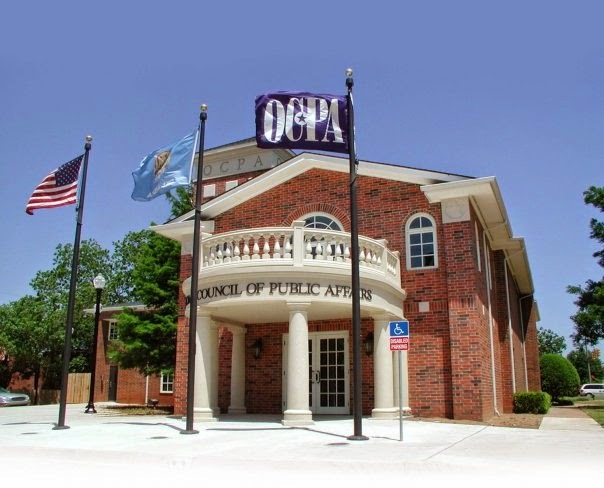 Eliminate taxpayer funds for operation of non-core agencies such as the Oklahoma Horse Racing Commission, the Oklahoma Insurance Department, the Oklahoma Department of Consumer Credit, the Native American Cultural and Educational Authority, OETA, etc. – $20 million annually. 4. End earmarks including rodeos, roping contests, local fair, local aquarium, local festivals, and more – $8 million annually. 5. Eliminate special earmark in Legislature’s budget - $7 million annually. 6. Enact performance evaluation reform and hiring reform – more than $5 million annually after first year, $41 million annually after 3rd year. 7. Perform telecommunications efficiency audits – $3 million annually. 8. Eliminate duplicative conservation district offices – $868,000 annually. To learn more, read OCPA’s proposed state budget here.